Everyone listening to Dig it! Dig it! We are B.A.P Yessir! YJ: Hi, I’m the one with good sense to charm, Youngjae. Last year in November we were on "Dig it! Dig it!" right? DH: Ha, yeah it’s been a while, Himchan do you remember? HC: Yeah it’s that program, right? HC: On "Dig it! Dig it!" right? And it became their theme song! DH: Haha that’s right, that’s right! HC: Yes it is a song to get fired up with at concerts, a very cool song! YJ: A song overflowing confidence, please check it out! DH: Everyone, please listen to it! HC: With that, Thank you for supporting us! [T/N: Said to the program’s MC’s] We’ll come and play at your studio again! ALL: This has been B.A.P! 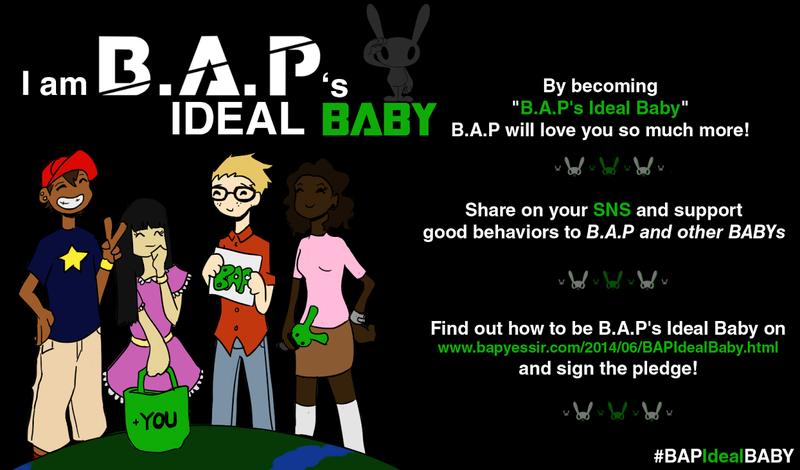 We are B.A.P Yessir!